Are You Looking For An Alan Sugar Impression? One of the most recognisable voices on tv has to Alan Sugar! His trademark “you’re fired” catchphrase and his no nonsense, straight talking approach has made him a well loved celebrity in Britain. I often get asked to deliver an Alan Sugar impression for clients wanting his distinctive voice and personality on an advert or video and he’s always fun to do! 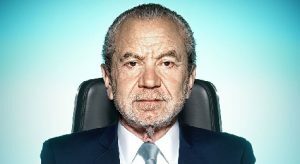 Alan Sugar was born and bred in Hackney, East London and has a cockney accent. He’s a got a gravelly voice, which is fairly flat and tends not to rise and fall as he often shows little emotion; he’s a straight talking businessman and is used to playing hardball! His mannerisms are interesting too. Lord Sugar tends to avoid eye contact with people and will often look up and to the left when thinking about what’s being said to him. This could be construed as being fairly dismissive and nonchalant, but it’s just his way. As a businessman, it’s fairly common to have what could be described as a poker face; he doesn’t want to give anything anyway! Here’s my Alan Sugar impersonation. And a face swap video I made! If you require my Alan Sugar impression for your project, please let me know and I’ll be happy to help. Or…. you’re fired! !